Monkeys in Motion is designed with toddlers in mind. This parent and child program focuses on having fun while engaging in hands-on experiences that aid in the development of a child's spatial awareness, small and large motor skills, language development and sensory integration. Each week brings a new experience for children to explore in a fun filled room with age appropriate equipment, art, music, sensory and movement. This is an opportunity for both parent and child to socialize and form new friendships. Infants in carriers are welcome. Purchase a 5 ($45/$67) or 10 ($90/$120)-use Monkeys in Motion Punch Pass and drop in any class that is running. 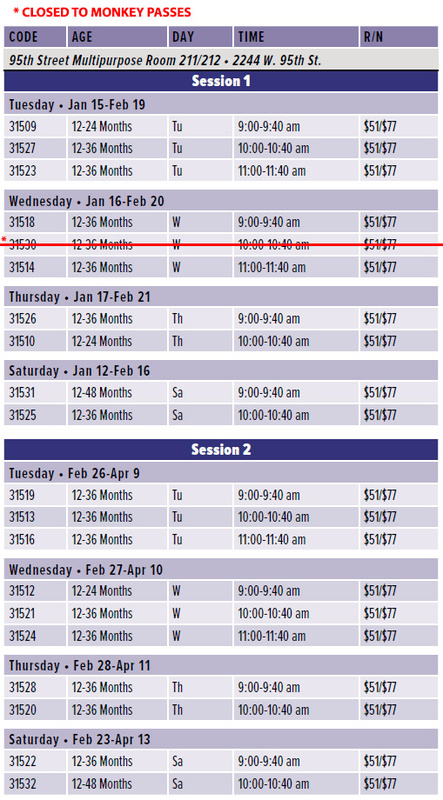 Please check schedule at the beginning of each session; schedule is posted below. Punch Passes may be purchased at the Alfred Rubin Riverwalk Community Center, Fort Hill Activity Center or 95th Street Center. Punch Passes are nontransferable. Lost Punch Passes will not be reissued. No refunds. Please note that Punch Pass use is on a first come, first served basis. A maximum of 12 participants allowed in each class. Punch Passes expire 3 months from purchase date. Socks are required in the Monkeys in Motion room for both the participant and the parent. For the safety of all of our participants, no exceptions will be made. 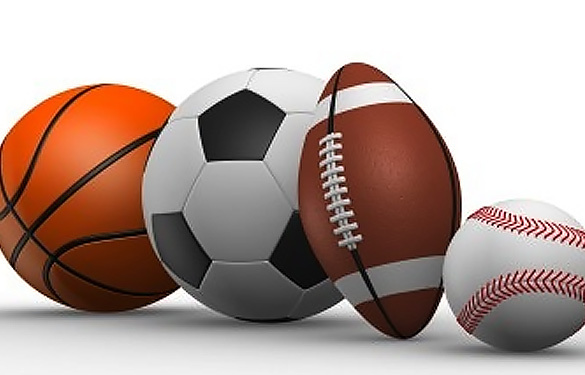 Kids can learn a variety of sports by enrolling in the Naperville Park District's All-Star Sports programs.